Ok, it isn’t really a game. 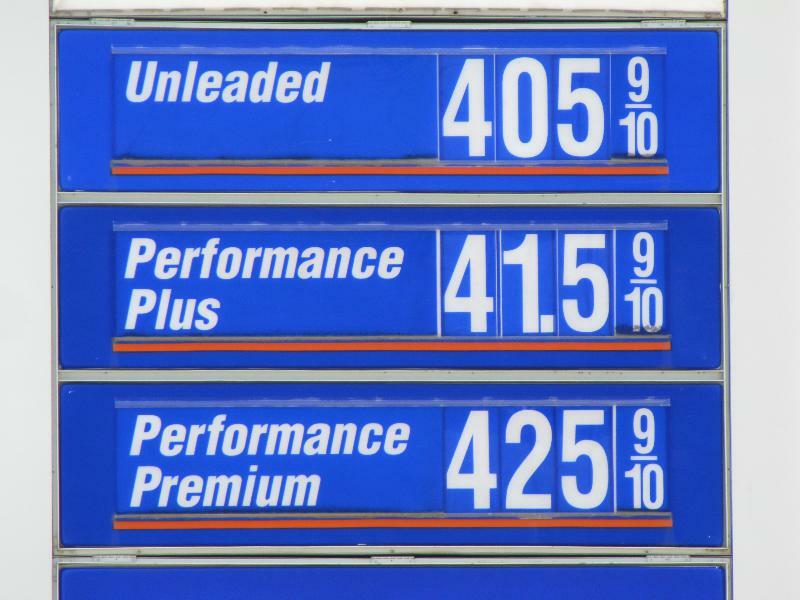 Trying to find the cheapest gas as you are traveling can really be a challenge and an important part of your travel budget control. Starting the day on a gas price information site like GasBuddy is a great way to start. Assuming you have a reasonable idea of your day’s route, you can get a head start on the prices you might expect. Is it good practice to pull off for cheaper gas if you don’t need to fill up? Yes, it is. While we were going across country I would often pull over for gas when the truck only needed a half a tank. The average 20 cent a gallon lower price added up as we traveled. Until this gas we had seen $3.75 as the highest on this trip. And then of course there was the time when I blew it. Needed gas, did not know the area, and (gulp) paid what you see. Needless to say I kicked myself when I saw 25 cent cheaper fuel about 35 miles down the road.